We offer thermal labels with superior image quality and medium sensitivity. The thermal labels we offer are constructed with a permanent acrylic adhesive. We also provide thermal labels in a fanfold for various machines. We provide thermal transfer labels in any specification you need. 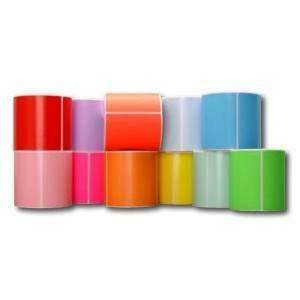 We can provide all of your label needs, from thermal transfer ribbons to thermal color labels. Are linerless labels really worth the hype?